Ah, Christmas. The most wonderful time of the year! A time for joy, laughter and panicking daily because you’ve got no idea what to get anyone. If you’re anything like us, you’ll be scrambling at the last minute to buy presents for all your loved ones. Whether it’s a mad dash through the mania that is Liverpool ONE in December or a late-night ASOS order – when you’re looking to gift your nearest and dearest with something a little out of the ordinary, it can be tricky to know where to start amongst the mountains of gift sets and novelty socks. Have no fear! We’ve scoured the city far and wide and created a fail-safe Christmas gift guide, just for you. Including all of Liverpool’s far from average crimbo finds, this list will leave you with more time to inhale those Christmas sarnies and drink all of the mulled wine. Nestled right in the city centre just by the Metquarter, Ship in a Bottle is a specialist in exceptional bottled beers, ales, ciders, bitters and stouts. Here you’ll find over 400 beers from the all over the world. 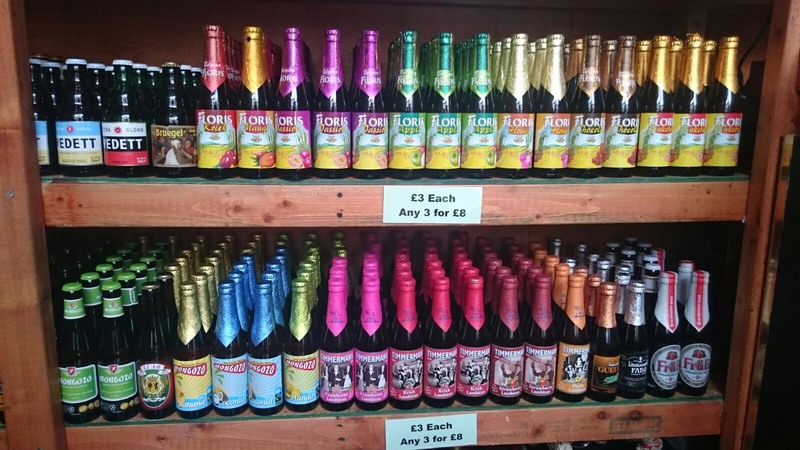 Perfect for bevvy connoisseurs, the shop is a sister company of top Liverpool pub The Ship and Mitre – so you know whatever they’re selling is sure to be the good stuff. 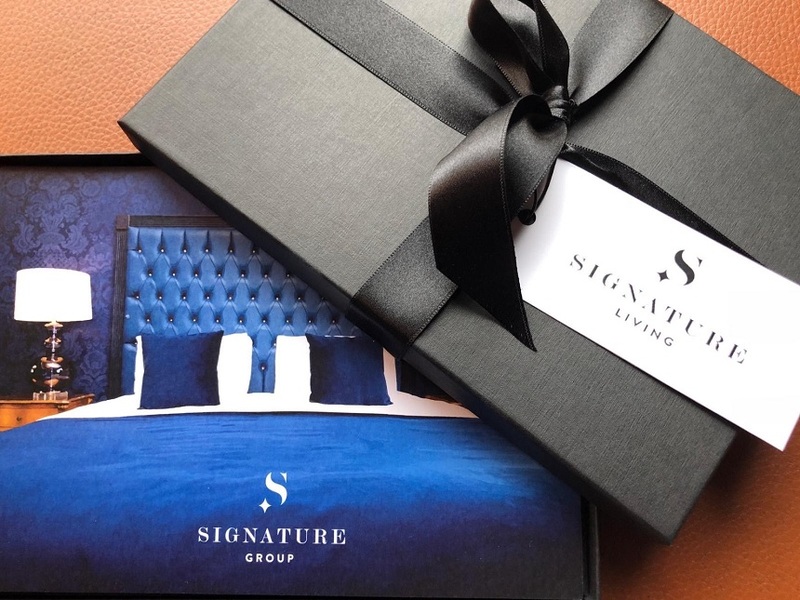 We love that you have the option to build your own bespoke gift pack for your loved one. If you’re not sure what they’re into, you can choose from a preselected set of bottles from Erdinger, Brooklyn, Delerium or Kwak. There’s so much choice in Ship in a Bottle that you really can’t go wrong when shopping for your beer-loving friend or relative. Now, this is a real hidden gem of Liverpool. With the first Whisky Business shop originating back in 2013 on Fenwick Street beneath Jenny’s Bar, the second is located on Colquitt street right next door to Tiki bar Aloha. Whisky Business’ creators are also responsible for the likes of Berry and Rye and Furnivals Well. This is a perfect option for those who have a more refined (or expensive!) taste in booze. 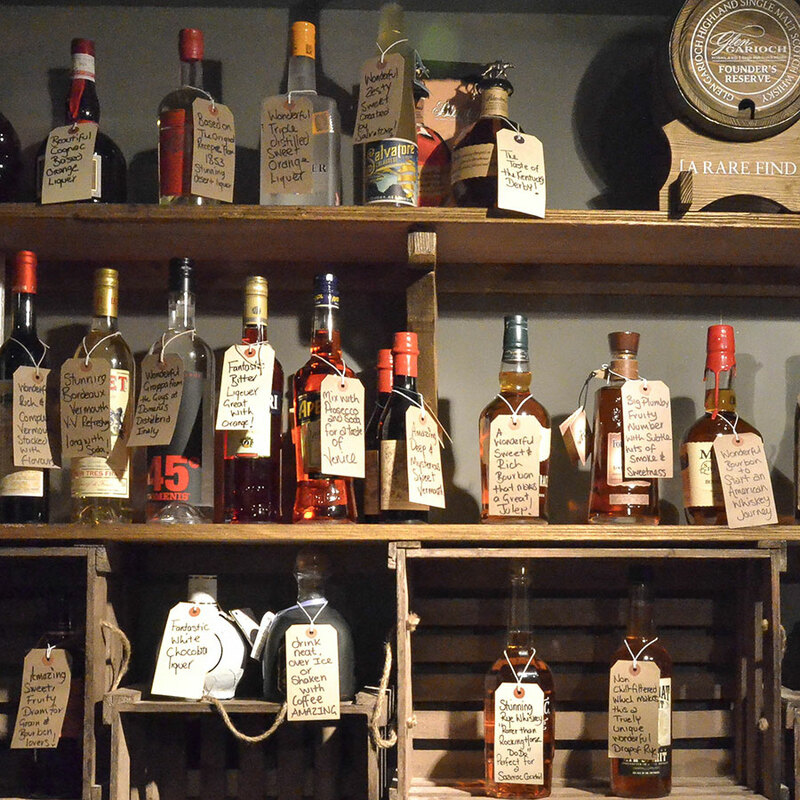 They even have some rare bottles in stock, including Japanese varieties which are notoriously hard to get hold of. The guys that work here are at hand to help you find something super special with their extensive world-of-whisky knowledge. From stunning Ryes to wonderfully sweet Bourbons, there is bound to be something ideal for those who fancy themselves as a Don Draper type. Blink and you’ll miss it – this independent record store is located in the basement of Soho on Bold Street. 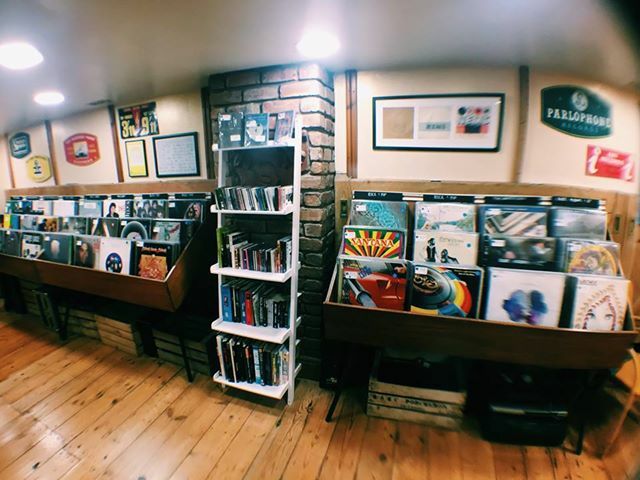 A product of its founders’ record dealing, band managing, DJing, record label running and music making, Dig Vinyl is a great spot to grab a special gift for any music lover. From Indie to Soul, Punk to Jazz – grab your loved one a gift this year that’s filled with nostalgia. Tell your dad it’s time to drag the old record player down from the attic. Buy your mum some earplugs. If you’re looking for a one-stop present shop, Utility is it. With its wide selection of unique greetings cards, trinkets, homewares and more, this shop will continue to be one of our favourites. 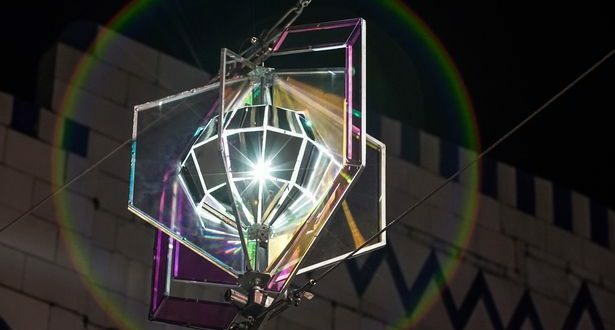 Utility specialises in an array of well-designed and unusual products. The 60 Bold Street site showcases the homeware offering, where you can find high design furniture and home accessories that are leagues ahead of John Lewis or Debenhams. 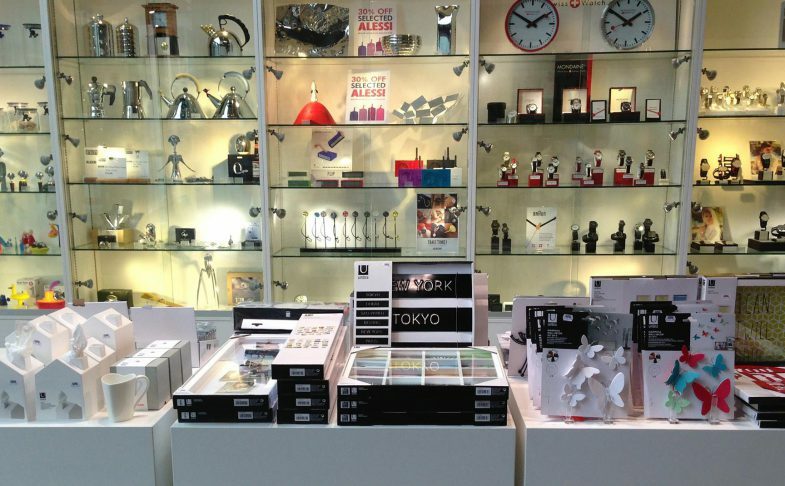 Over at the 86 Bold Street and Liverpool ONE stores you can grab some lovely pieces of jewellery as well as some really cool novelty items for adults and children alike. Even the gift wrap is incredible! For the daring individual in your life, treat them to some Tatty Devine jewellery. Does your nan just really love Liverpool? Get her a tiny purple Liverpool wheelie bin. 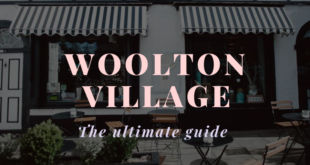 If rare curiosities and vintage finds are more up their street, look no further than this crafty village full of independent traders, artists and all-around creative fare. This Camden-style market is located in the Baltic Triangle and boasts more than 50 local traders. There’s a huge range of stalls, from tattooists and barbers to boutique clothing designers and massage therapists. You can even grab yourself some organic fruit and veg for the Christmas dinner while you’re at it! For the health conscious, perhaps a selection of vegan, raw, gluten-free treats from award-winning The Nakery could be a hit. 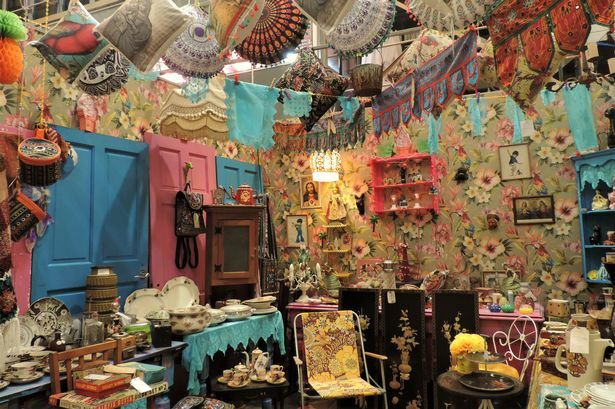 The eclectic emporium that is Frank Mouse would be a great place to grab a gift for those who want their home full of interesting items that tell a story. Honestly, take one look around and it’ll be hard not to get inspired. Stuck for ideas? Book them onto a cocktail masterclass with friends or even treat them to a relaxing spa break. Psst, why not treat yourself to a mid-Christmas-meltdown massage over at Morgan’s Spa? We won’t tell! Nowadays, people look for more memorable gifts that they can remember – depending on how much bubbly they drink. It’s really easy to arrange, too. Just grab a gift card and you’re sorted! You can also purchase gift cards at any of their venues. So, you’ve made your list, you’ve checked it twice. Aaand you’ve lost the list. At this point we just recommend putting your feet up, watching Elf and inevitably just leaving everything ‘til the night before.